Thanks for stopping by! Today, members of the ODBD Design Team are sharing new inspiration using the products from the September 2017 Release. 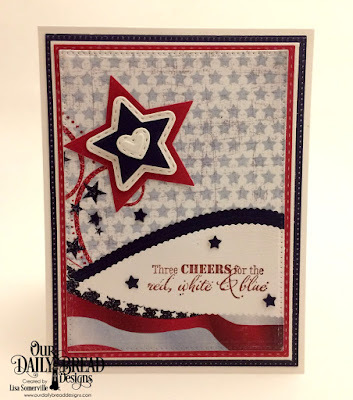 I'm sharing two cards using the Let Freedom Ring stamp set along with the beautiful Stars and Stripes paper pad. 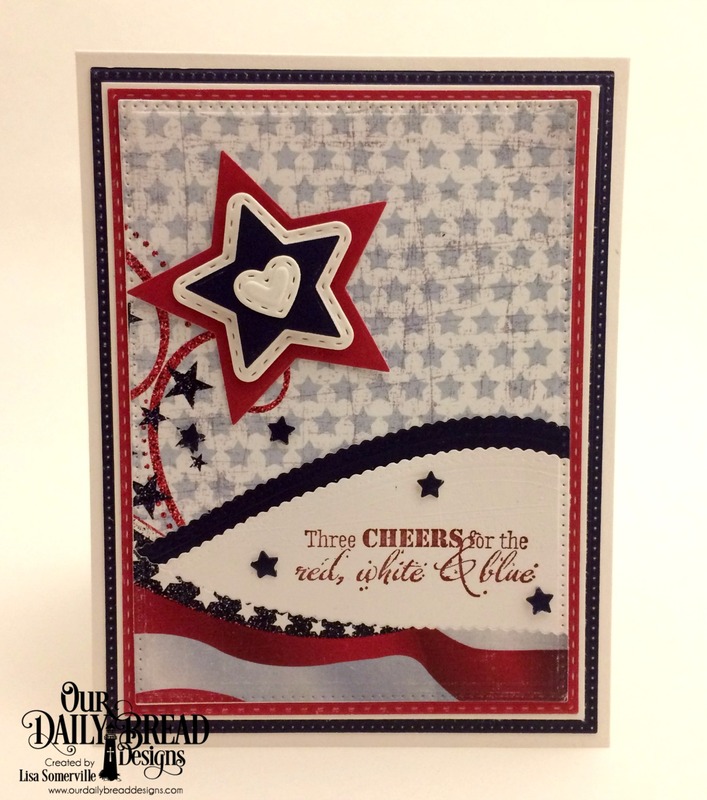 My first card using the fun Double Display Card and Double Display Layers die sets. These dies along with the Tri-Shutter Card and Tri-Shutter Layers die sets are a time saver for creating fun folds! Gorgeous card creations, Lisa! 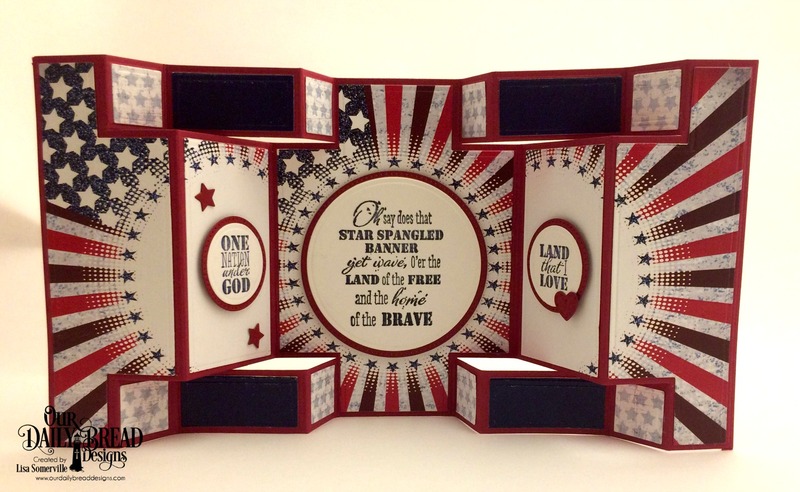 Love the way you cut the papers for your double display card and the curvy borders on the second....these new patriotic were so much fun to use! Hugs! Love that double display, awesome paper work!! Beautiful samples! Wow! Lisa these are both amazing!